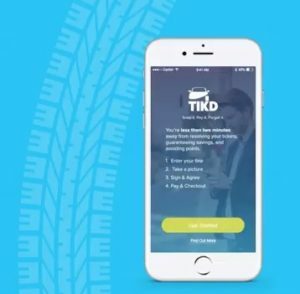 Just 28 days into a new traffic ticket app’s launch, TIKD, the South Florida based tech startup is transforming how people get rid of their traffic tickets here in Orlando. After high demand from its launch in Miami, TIKD is expanded into Orlando on March 22, 2017. Drivers can take care of their traffic ticket right from their phone, in two minutes or less. TIKD also has a no points or your money back guarantee, plus people get at least 20% off their fine amount when they use TIKD. TIKD is revolutionizing the way traffic tickets are handled and all from your phone in a few simple steps. Watch a demo of how the traffic ticket app works here. Orlando and its surrounding areas receive an average of 1.6 million tickets each year. This results in over 350 million dollars worth of traffic fines. TIKD will launch its traffic ticket app on March 22, 2017 to Orlando and plans to roll out nationwide by the end of year. TIKD aims to become the most trusted and liked option for traffic ticket resolution in 2017. The company expects to completely change the way Orlando drivers get rid of their tickets. The web app is available free of charge and does not require download. Find out more about how TIKD is helping make life a little better at TIKD.com.